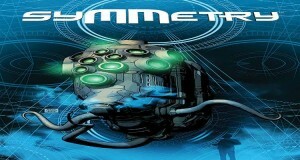 Matt Hawkins Wants You to Have SYMMETRY! Meet creator/writer Matt Hawkins, who will be visiting BOTH Comic Bug locations on the premiere day and handing out FREE copies of SYMMETRY #1. Matt has created many great works, POSTAL and THINK TANK being some of his most recent. He says that SYMMETRY is some of his best work yet and wants to make sure each and every one of you has an opportunity to see for yourself! Matt will be at our Culver City location (4267 Overland Ave. Culver City, CA 90230) from 11 a.m. to 2 p.m. and then at our Manhattan Beach shop from 5:00 p.m. to 8 p.m. Come get a free copy of SYMMETRY!